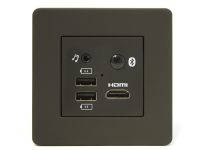 Available for US power outlets (UK/EU versions available in international website). 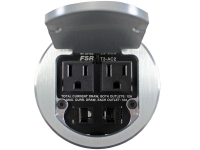 This compact and attractive product puts two additional tamper resistant power outlets, and two USB charging ports right at your guest's fingertips. 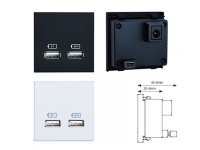 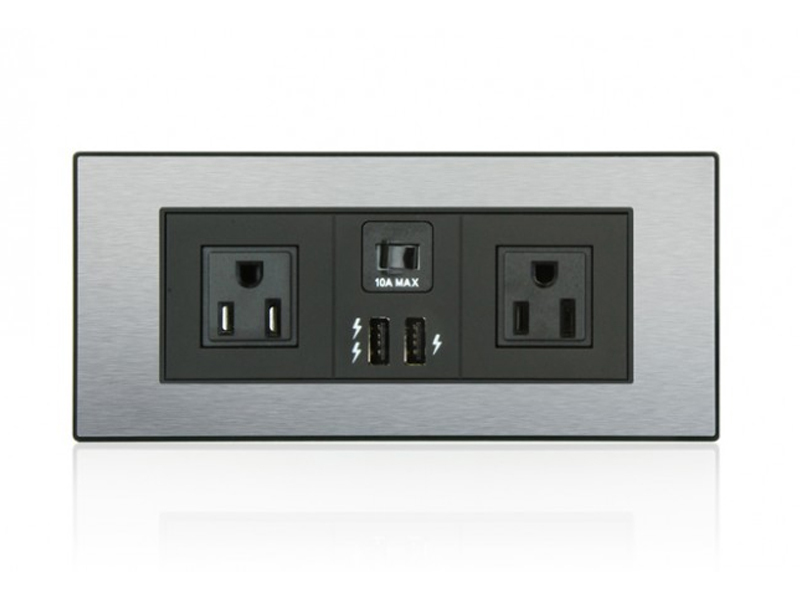 Or, add any of our MediaHub™ products to the PowerHub and create the MediaHub Extender™, a guest entertainment connectivity panel with additional power ports. 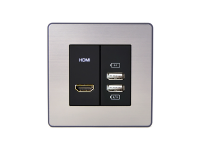 It's the perfect solution for plugging in today's hotel guest.